Smith Stearns would like to announce the college commitments of eleven of our students who were honored at our Senior Graduation Ceremony in May. This is a fantastic senior class comprised of students from diverse backgrounds. 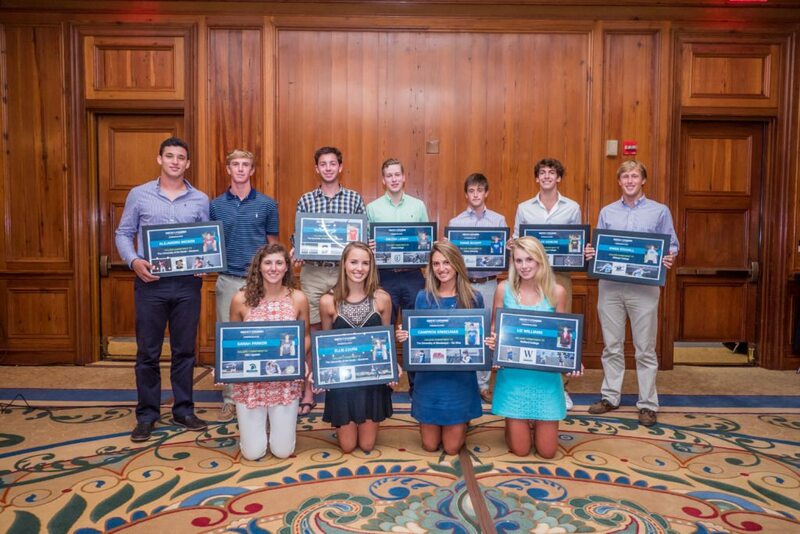 They are all unique and have a special story of how they got to achieve their goals of playing college tennis. We are very proud of all of them and wish them nothing but the very best in their future collegiate career! Alex has been training at the academy since he was 10 years old, so it has been amazing to see how far he has come. He has committed to play tennis at Middlebury College in Vermont and looks forward to excelling further in both his tennis and academics. Not only has Alex achieved success on court, but he has also been a brilliant student in the classroom and a role model to all of our other students. 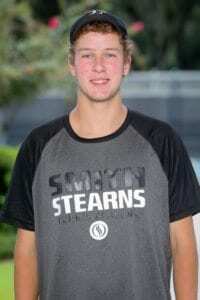 Alex reached a career high ranking of #157 nationally and #3 in South Carolina on Tennis Recruiting. Robert has received a scholarship to play at the University of Georgia this fall. He has been training at Smith Stearns since his first lesson with BJ when he was only 11 years old and has made significant improvement in his game. He went from being ranked #55 in Florida to becoming a blue chip recruit ranked #4 in the nation. He has transitioned into an international level player, making the round of 16 at the Orange Bowl in the 16’s and also picking up his first ATP professional points this spring. Chase will be headed back to his hometown of New Orleans, Louisiana to play for the Tulane University men’s tennis team this fall. Since joining the academy two years ago, Chase has demonstrated many strong qualities that you would expect in a leader and has continued to be a role model to our younger students, both on and off the court. 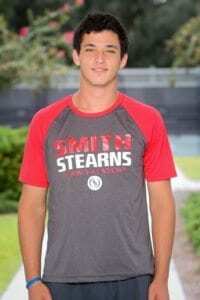 Chase is currently the #1 rated recruit in Louisiana and #127 Nationally on Tennis Recruiting. Owen has committed to play for Millsaps College in the fall. Since joining the academy three years ago, Owen has made big strides with his tennis. He went from barely making his high school team to being able to commit to play college tennis. 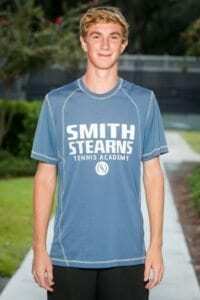 Owen has also matured into a fine young man who looks to continue to dedicate himself to reaching more of his tennis and academic goals in the future. He is currently the 23rd rated recruit in South Carolina. Heading to Ole Miss this fall, Cameron will look to help the Rebels dominate the SEC field. It has been a long run for Cameron at the academy as she started full time in the 8th grade. 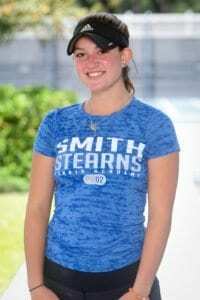 She has dedicated herself to her tennis and had great success consistently being a top ranked player in both South Carolina and the Southern Section. She has also won various singles and doubles titles throughout the years including the Southern Closed 16’s doubles and most recently the ICY HOT Designated in the 18’s. Cameron reached a career high ranking of #61 Nationally on Tennis Recruiting. 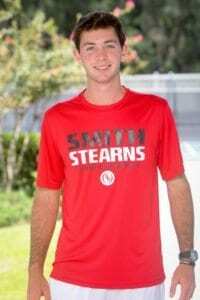 Alejandro has committed to play for the Sewanee men’s tennis team this fall. Moving to Smith Stearns from Mexico two years ago, Alejandro has achieved his goal of playing college tennis and is looking forward to helping his new team. He has been a pleasure to have at the academy as his outgoing personality has been enjoyed by all. He is looking forward to continuing to reach his tennis goals while studying to become an engineer. Moving to the academy from Canada over five years ago, Colten has been an integral member of the Smith Stearns family for some time now. 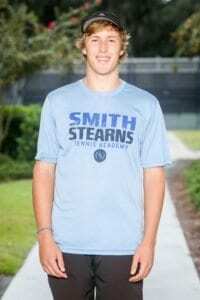 He has committed to play for Ithaca College next fall and is looking forward to playing in the “team” environment of college tennis after being a key member and leader on two high school state championship teams for Hilton Head Prep. Liz has received a scholarship to play for Wofford College this fall. An academy member for over five years, Liz has made huge strides with her tennis moving up hundreds of spots on Tennis Recruiting. She reached a career high of #151 nationally and #4 in South Carolina in the senior recruiting rankings. She has also had success in doubles winning the SC Qualifier and getting 3rd place at the Southern Closed. Ellie has chosen to attend Sewanee this fall. She has continued to make strides with her tennis reaching a career high national ranking of #161 on Tennis Recruiting, a 200 spot jump since she started at the academy her freshman year. Ellie is also the 11th rated recruit in South Carolina and was a member of three High School State Championship teams at Hilton Head Prep. 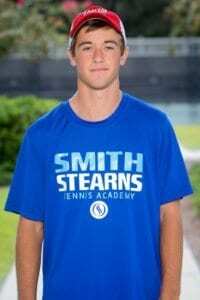 Trevor will also become a Tiger this fall as he joins the Sewanee men’s tennis team. 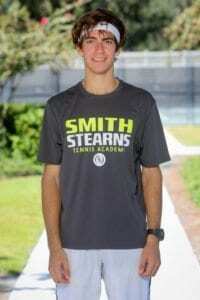 He is athletically gifted, achieving success in both his tennis and as a track and field athlete. He was a key contributor and leader of the winning High School State Championship Team at Hilton Head Prep and also placed 2nd at the State Championship in the 1600 meters for track. Trevor is currently the #15 rated recruit in South Carolina. Sarah has received a scholarship to play at USC-Upstate this fall. She is very excited about playing in a “team” atmosphere and looks to help achieve success with her team. Sarah has been a hard worker and positive influence on all of our students over the past year. She is currently the #21 rated recruit in North Carolina and looks to achieve more of her goals during her collegiate career.